A trusted guide and companion for current and future art educators, CHILDREN AND THEIR ART presents a professional approach to teaching art consistent with national standards for student learning. The authors are experienced as art teachers in the public schools and have a broad knowledge about school art programs. 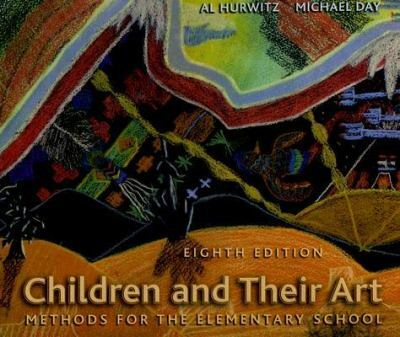 The Eighth Edition provides an easy-to-use combination of theory, research, and practical knowledge about teaching art. The most comprehensive textbook available for teaching art education methods, CHILDREN AND THEIR ART covers all aspects of teaching art in the elementary classroom: the basic principles and goals of art education, the characteristics and needs of children as learners, the core principles of art as a subject'aesthetics, principles of design, art history, art media'and all aspects of instruction'curriculum planning, sample lessons, classroom management, and assessment. Among numerous updates throughout the text, the Eighth Edition features a brand-new chapter on visual culture. This new edition also includes more than 300 illustrations, with well over 100 new images added to provide examples of new media and better representation of post-modern artforms and works by women and minority artists.Al Hurwitz is the author of 'Children and Their Art: Methods for the Elementary School', published 2006 under ISBN 9780495006961 and ISBN 0495006963.